SONGS from a western musical are set to fill the giant atrium at the new Dumfries and Galloway Royal Infirmary this weekend. Members of Dumfries Musical Theatre Company are gearing up to perform Calamity Jane, and on Sunday April 15 will be arriving at the new Dumfries hospital to entertain patients and visitors with a selection of songs ranging from The Deadwood Stage to Windy City and The Black Hills of Dakota. Paula Neill is a staff nurse in ophthalmology at DGRI but also a member of the theatre group, and she said: “Everybody’s really excited about this – they’re very much up for it. Explaining how the performance came about, Paula added: “I went to a workshop for arts and the health service at The Stove in Dumfries. “The artists in residence were talking about what they’d done in the hospital, and they wanted to build bridges and get people to be more involved. Bringing the idea to hospital management, Paula said: “Because the company is a community amateur theatre, the managers I approached were very enthusiastic as they want to create a connection between the community and the hospital using the public space. Calamity Jane is being directed by Stewart Cameron. The hit stage musical was adapted from the 1953 Warner Bros musical film starring Doris Day, and casts Laura Whitelaw as the frontierswoman whose complicated relationship with Wild Bill Hickok eventually turns into affection. Christopher Watt will accompany the performers by playing the piano which is permanently situated in the hospital atrium. 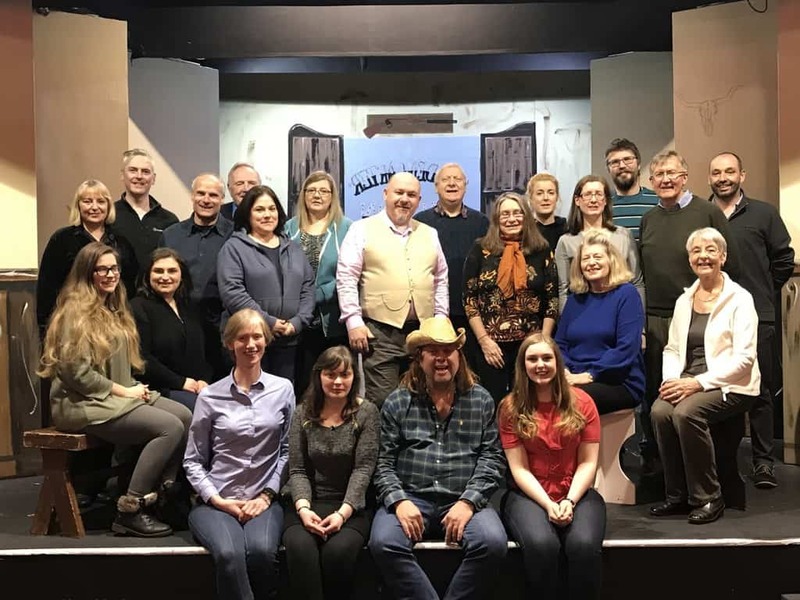 Calamity Jane opens at The Bridgend Theatre in Dumfries on April 28, running every night for a week with a matinee on Sunday April 29. Sunday’s performance at DGRI takes place at 2 pm, with an invitation for anyone to come along and enjoy the performance. Previous articleDumfries Youth Theatre Takes LGBT Play to Northern Stage in Newcastle.